The House of the Festa – Manuel Ricarte has hosted the general assembly in which the names of the 18 members of the jury in charge of choosing the next belleses of the foc d’Alacant and the seues dames d’honor have been announced. and Jennie Morell Fernández of the Gran Vía Garbinet commission will be part of the children’s jury and Mamen Cuenca Herrero of Alfonso el Sabio; Manuel Gómez Yagüe de la Foguera Santa Isabel and Elisabet Herrera García de Nou Babel the adult. 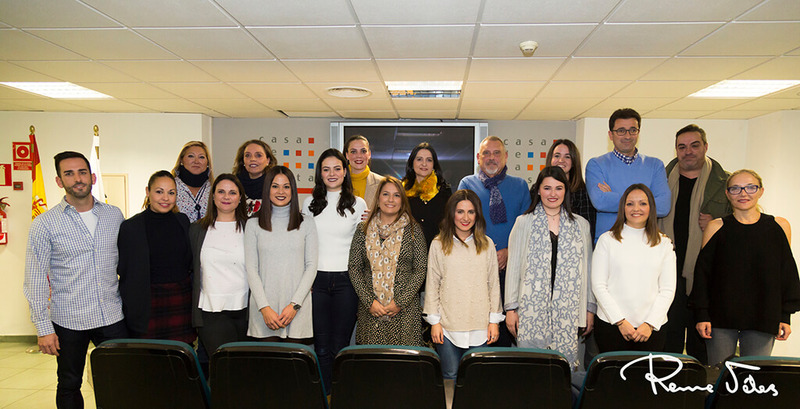 The Federació de les Fogueres de Sant Joan is in charge of choosing the other members of the jury that will be Purificación García Signes, gynecologist and jury president; Cristina Cutanda Pérez, lady of honor of the bellesa del foc d’Alacant 2017 and secretary; María del Mar Valera Samblas, president of APEHA; Juan Valentín Fernández, general director of Hotel Bonalba Alicante; Cristina Tejada Berbejal, dele da de bellesesand José Luis Salar, former member of the Management Committee, all of them complete the adult jury. The child is composed of Marian Guijarro Mira, teacher of Early Childhood Education and president of the jury; Sofía Escoda Navarro, secretary and delegate of children; Antonio Atencia Castillo, teacher of Early Childhood Education; Nerea García Pérez, lady of honor of the bellesa del foc infantil d’Alacant 2004 ; Inmaculada Rueda Gómez, teacher of Special Education and Vanesa Quero Bermejo, former member of the Federació de les Fogueres de Sant Joan .